If you've ever searched for commercial office, retail or industrial space, you are probably already too aware of just how fragmented listing information can be. In order to ensure you don't overlook an opportunity, you've got to search how many sites?... Maybe a dozen, right?! 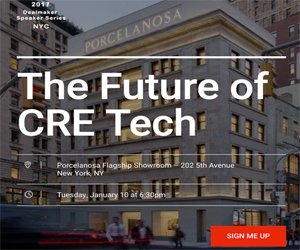 Loopnet, CoStar, Showcase, Xceligent, your local CIE, maybe an MLS, and now even niche sites like OfficeSpace.com, 42Floors, The Square Foot, RetailMLS. I know I am forgetting others. How do you efficiently aggregate all this information in a consistent, useful way? An Excel spreadsheet? Ugh! There is a better way. For your next space search check out SquareFeet.io. What is SquareFeet.io? It's a free tool that helps you stay organized and sane during your search for office, retail, or industrial space. It replaces the clumsy process of spreadsheets and emails with a simple way to pull your favorite spaces to a single place, and collaboration tools that make it easy to compare, update, monitor and share. Get started by installing our bookmarklet – it's just a button you add to your browser. Then, search for space on all the listing services you usually use. When you find spaces you like, click your new "+SQFT" button to save them to SquareFeet. When you're finished searching, you'll have a single list of spaces all in the same place to review and compare. Compare spaces side-by-side in a consistent format, or plot them all on the same map. Add notes to each space, or upload additional photos, maps, plans, rent rolls, or anything else you come across during your research. Fill in information that might be missing from particular spaces. Share your list with others, like your partners or your real estate agent. Everyone you invite becomes a collaborator, and can add notes or suggest additional spaces as your search progresses. View the complete history for your list or for individual spaces, tracking all the activity for your search in a single place. "How much does it cost?" you ask. How about free? With killer resources like this one, together we can kill the PDF'd Excel worksheet.